The staff was so kind and accommodating! We checked-in early before the room was ready and left our bags at the front desk. When we returned later to get our bags and the key, the staff had already taken our bags to our room. We spent three nights in the ePOD room in Duke Street. The staff is very friendly, and the place is well located, at 5-10 mins walk from the heart of Liverpool. The room is very small, but fully equipped and clean. The room offered all necessities and the location was perfect. The apartment for a family of five was excellent. All facilities given in the kitchen and bathroom. It was most comfortable. Thank you. Stayed in the ePod, very compact, clever design and comfy. Perfect for an overnight trip. As shown in answers above, the location was excellent and the apartment was smart and very comfortable. The fact that it was split level, with 2 bathrooms as well as bedrooms, gave us and our adult son more privacy. Location was amazing, especially if you like loads of restaurants and bars in easy walking distance. Facilities in apartment were good, great shower room. Beds were comfortable (didn't try sofa bed). Good location, stylish decor. Very comfortable beds, generally all facilities you would need. Lock in a great price for Epic Apart Hotel - Duke Street – rated 8.8 by recent guests! 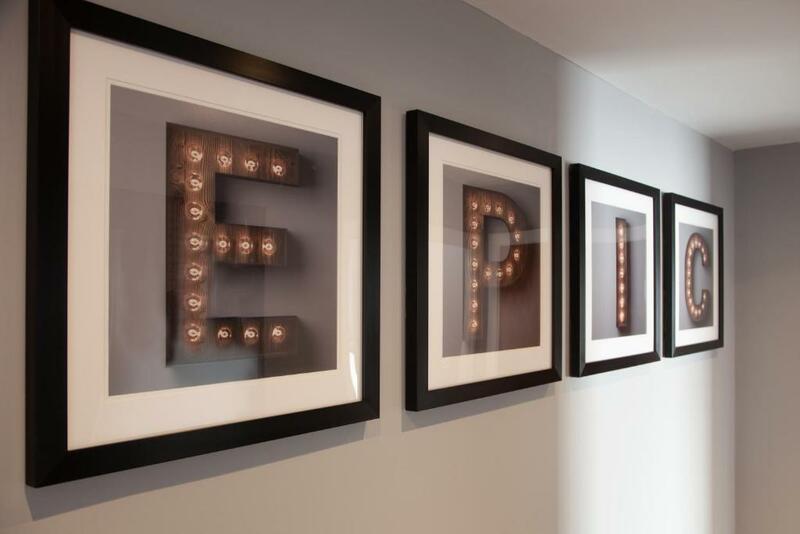 Epic Apart Hotel - Duke Street This rating is a reflection of how the property compares to the industry standard when it comes to price, facilities and services available. It's based on a self-evaluation by the property. Use this rating to help choose your stay! The luxury Epic Apart Hotel - Duke Street is a refurbished Victorian building in Liverpool city center. 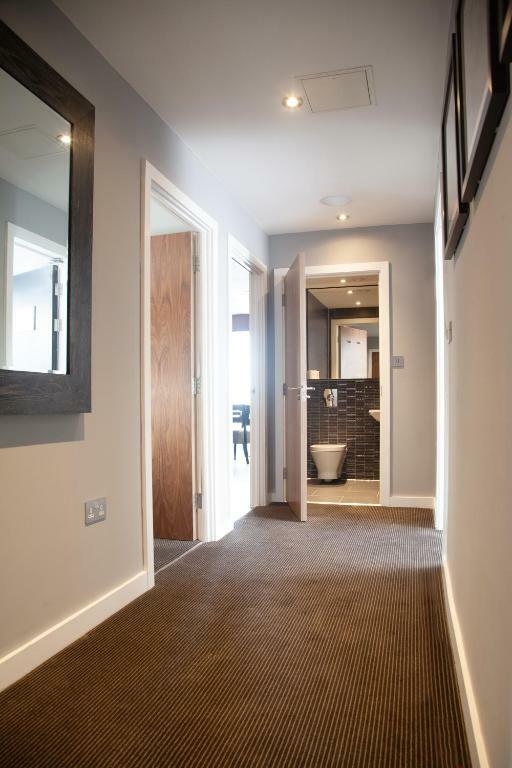 Each of the stylish apartments and rooms have free Wi-Fi, air conditioning and a flat-screen TV. Apartments come with a dishwasher, fridge/freezer, microwave and hob. 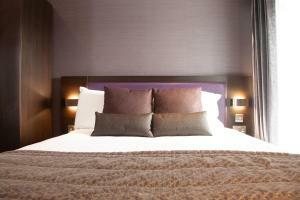 The Superior Double Room and ePOD are more traditional hotel size and style rooms. 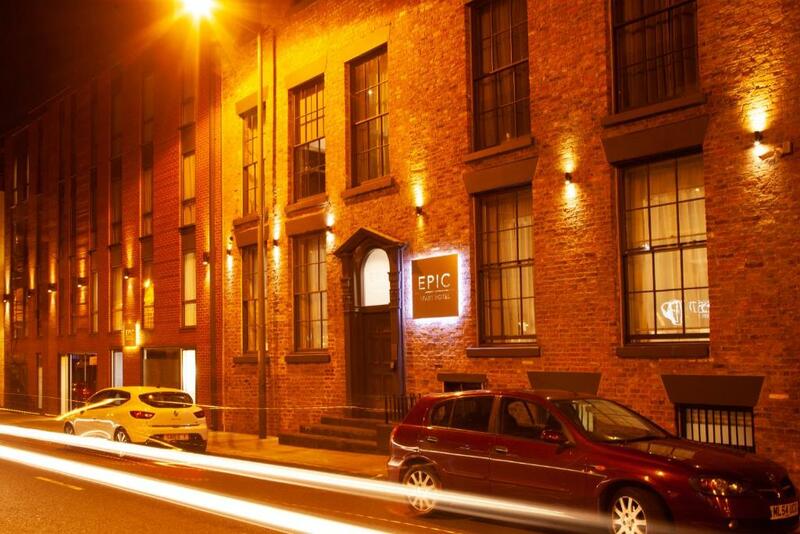 EPIC Apart Hotel - Duke Street is around 10 minutes' walk from Liverpool Central Rail Station and Liverpool Lime Street Rail Station. 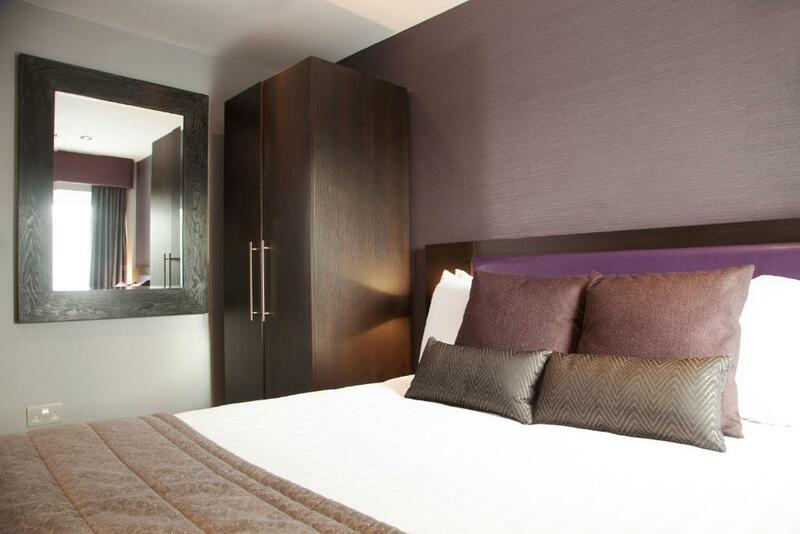 The Liverpool Echo Arena, BT Convention Center and Exhibition Center are just 8 minutes' walk from the property. The shops of Liverpool ONE are within a 2-minute walk. 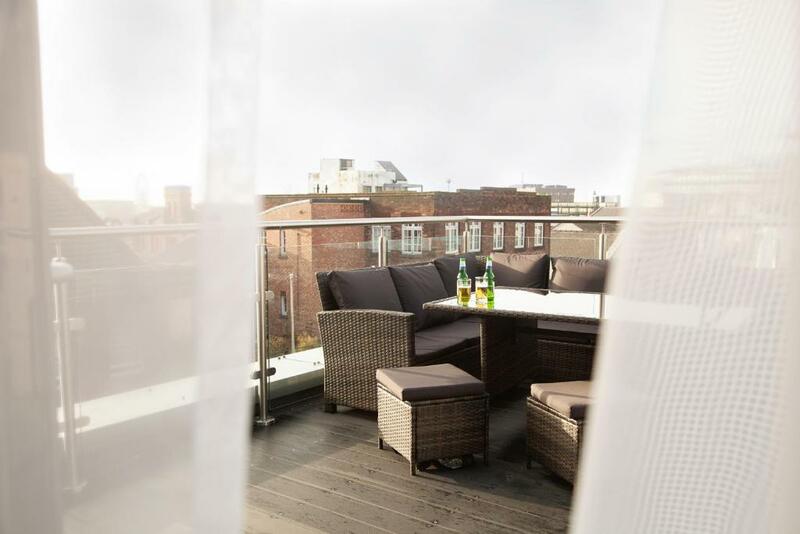 The property's central location means that theaters, museums and Liverpool ‘s 2 cathedrals are also in close proximity. The football grounds of both Liverpool and Everton football clubs are just a 15-minute taxi ride away. 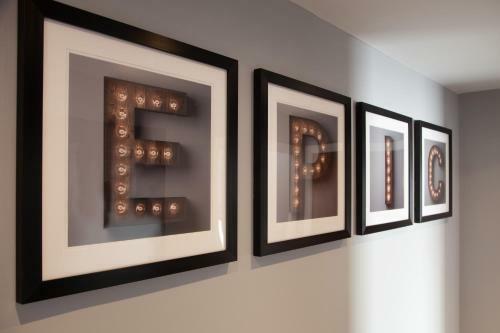 When would you like to stay at Epic Apart Hotel - Duke Street? This apartment offers a personal living space with kitchen, dining and lounge areas, along with separate bedrooms and bathrooms. Free WiFi and sofa bed facilities. This apartment offers a personal living space with kitchen, dining and lounge areas, along with a separate bedroom and bathroom. Free WiFi and sofa bed facilities are also provided. 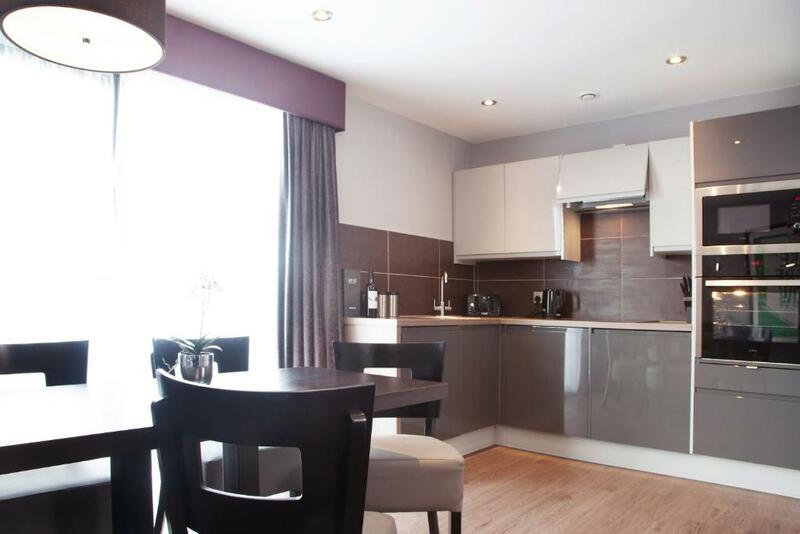 This studio apartment offers an open-plan living space with a fully fitted kitchen, a dining table, a lounge and bedroom facilities.There is a 50" TV and free WiFi is also available. This air-conditioned Superior Double Room Room features an in-room shower, a flat-screen TV and tea/coffee-making facilities. This apartment offers a personal living space with a fabulous large kitchen, dining and lounge areas, along with a separate bedroom and bathroom. Free WiFi and sofa bed facilities. 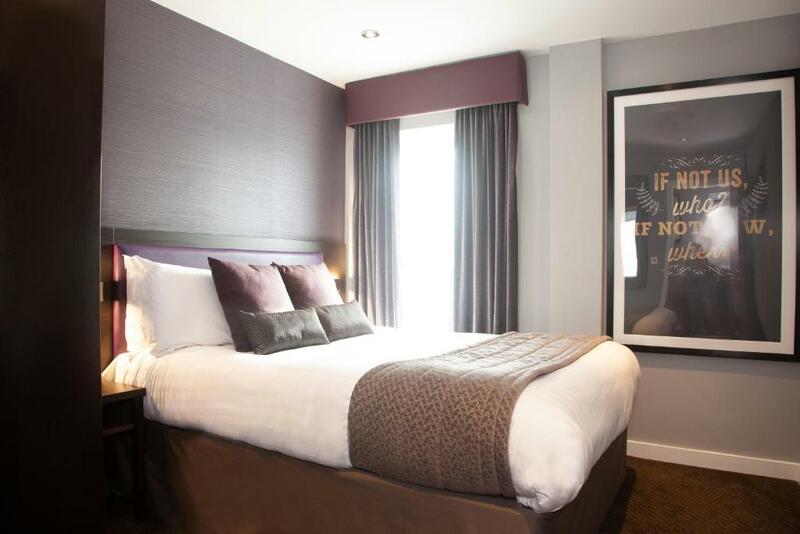 House Rules Epic Apart Hotel - Duke Street takes special requests – add in the next step! Epic Apart Hotel - Duke Street accepts these cards and reserves the right to temporarily hold an amount prior to arrival. Please note that Epic Apart Hotel do not permit nonresident visitors. Early check-in and late check-out may be available for an additional charge but cannot be guaranteed. Payment should be made in GBP by credit card, debit card or cash. Checks and bank transfers will not be accepted. The card used to make the payment must be provided on check in. If it cannot be provided then the deposit will be refunded and the full payment will be due. The lead guest must be at least 21 years of age as per the terms and conditions accepted at the time of booking. Proof of identification and date of birth may be requested on arrival and if not presented on request, Epic Apart Hotel reserves the right to cancel the booking. A security deposit between GBP 150 and GBP 500 per apartment will be taken upon check-in at the discretion of Epic Apart Hotel and Serviced Apartments to cover “additional charges", including breakages, damages, extra cleaning and further accommodations charges incurred during your stay. A valid credit card is required from the lead guest to hold this deposit. Cash will not be accepted. If your security deposit does not cover the total additional charges, Epic Apart Hotel will be entitled to recover this from guests without delay. All pre-authorizations are rescinded on check-out. Most banks will make the funds available again within 48 hours, however certain debit cards can take up to 10 days. Please note that check-in and key collection take place at: 25-27 Seel Street, Liverpool L1 4AU. Please inform Epic Apart Hotel - Duke Street of your expected arrival time in advance. You can use the Special Requests box when booking, or contact the property directly using the contact details in your confirmation. Clean and comfortable, very good quality. Check in is at Seal Street. There was a big queue and it took absolutely ages to get checked in. This needs to be improved. No lift in property very difficult getting bags up and down stairs. Nowhere in shower to put toiletries and nowhere in bathroom to hang towel or clothing. No mini bar as described. Cleaners moving furniture etc around was very noisy early morning. Check out process- we were told to call and inform reception of departure and leave cards in the room however calls left unanswered x2 for 10 minutes and then hung up on so very frustrating. Some guests were smoking in the property which we reported to reception. I was expecting an apartment when we booked but it was just a hotel room so not what I was expecting. Went back 3 times to reception as room wasn’t ready at 3pm, we stayed in room 18 in duke street, very dark room when we opened the window it looked like the hotels dumping ground for the Maintence team, also woke up at 8am with banging and building works. Pretty basic, quite gloomy room for the price, and a lot of building work going on around the streets near the property. No parking facilities. Dirty sock from a previous guest under the bed - which wasn't great. Staff were all lovely and the hotel was in a good location for what we needed.